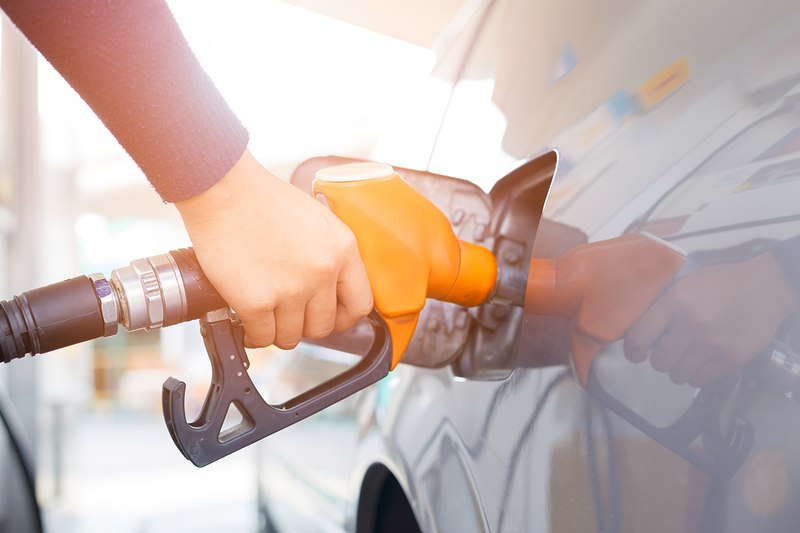 If your business involves a lot of driving, you’ll know just how a large fuel bill can eat into your profits. 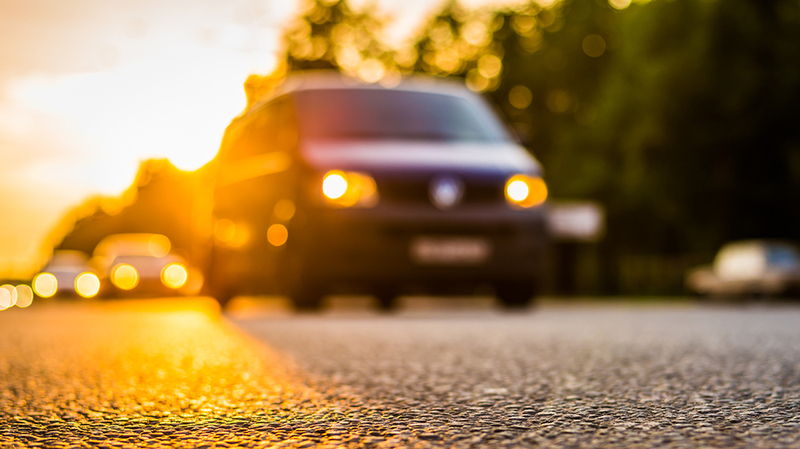 Between purchase costs and repairs, insurance, tax and your fuel bill, it’s expensive to keep a van on the road. Sometimes unavoidable, but using Google Maps to plan ahead will show you in advance what parts of your journey are likely to be congested so you can plan an alternative route if possible. One great way to do this is to take a few extra minutes before each trip to unload any unnecessary extra burden. Every work vehicle becomes a repository for all sorts of forgotten cargoes, things that weren’t delivered when they were meant to be or which ‘might be useful’ someday. Take them out of the van and keep them safely in your business premises. The extra weight is burning up fuel and costing you money. According to the Energy Saving Trust, any speed faster than 65 mph will see your fuel efficiency drop. The optimum speed is 55 - 65 mph. Accelerating past another vehicle just to get one place ahead at the next set of lights is pointless and you will burn through more fuel as you rev the engine. If you’re driving at more than 55mph in hot weather, air conditioning is a good idea: having the windows open will actually use more fuel. But when you’re travelling any slower than 55 mph, the air conditioning system itself will burn up energy at an astonishing rate. In these conditions, it’s best to go old-school and just keep your windows open with the A/C off. The harder the acceleration pedal is pressed the more fuel is used. Try to press down gently, taking about 5 seconds to reach 15 mph after setting off from a complete stop. Constant dips and spurts of acceleration can affect your fuel use by as much as 20%. If you have it, switch to cruise control on the motorway to maintain a constant speed. Slamming on the brakes will not only add more wear and tear to your van but will also affect fuel efficiency. Be alert, judge the road ahead and move slowly towards traffic lights and stop signs. Using the wrong oil can increase friction in the engine and decrease the mileage you get from the fuel. If you’re not sure which oil to use look for energy conserving oil containing friction-reducing additives. Having properly inflated tyres can increase the mileage by 3.3%. A well-maintained van is a fuel-efficient van. Air filters and brake pads can greatly affect your efficiency. So bearing all this in mind the key message is to make sure you look after your van and drive well with no unnecessary braking and accelerating. Light commercial vehicle ownership has increased recently because of the changing attitude towards home comforts and a soaring demand for same-day delivery in the home shopping market. If your van and its contents are your livelihood, then you must make sure your vehicle is secure. The majority of new vehicles are equipped with an on-board diagnostics port that helps auto locksmith companies and specialists learn and understand the diagnostics of the vehicle. This port can also be used for key replacement by locksmiths. Always lock your vehicle before you leave, even if it’s a quick stop or delivery. The main target of any vehicle is the area where the valuables/cargo is stored. Make sure you use deadlocks and steel-clad locks to prevent any unwanted entries. Make sure your key is safe at all times and have an extra made and kept with an approved authority. You need tinted shields if goods are always visible. If possible, always choose a dense inner bulkhead that limits admission to the cargo zone. Always park in safe and secure locations avoiding discreet and secluded areas. If possible, restrict access to the cargo doors by parking against walls or other vehicles. Low lit areas could also impose a huge threat without CCTV to monitor the van. If there is a chance to remove valuables and store in a safe place overnight, make sure this is routine or use high-security locks for the cargo entry area. Whether you’re a seasoned long distance driver or not, most of us have to get behind the wheel for long a long period of time at least once. 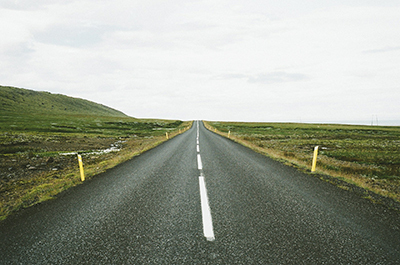 So if you have to undertake a long journey for work or you’re driving far to go on holiday, with some careful preparation and planning, the stress involved can be minimised. Just the thought of a long distance journey can feel tiring for some, so don’t be caught out by a lack of sleep on the day. If you can make time, try to fit in a couple of extra hours of sleep a few nights before your journey. This can improve alertness and decrease the chances of feeling groggy. Do you have reliable tyres, windscreen wash and other necessary equipment? Is your breakdown cover up to date? Do you have a fully charged phone, and a spare charger in your vehicle? Even if you have completed the journey before, it’s a good idea to know what alternative routes are available to you if you encounter road works or closures. There’s no substitute for carefully planning your route beforehand, for stopping to check directions or alter your route halfway doesn’t merely cause holdups, it can also result in unnecessary stress. Rushing and feeling stressed may lead to feelings of agitation which could adversely affect your blood pressure levels and/or driving. Try to set off earlier than you need, to plan for unexpected delays. Make sure you have a reliable sat nav if you don’t know the way, but take a paper map with you as a backup. Make sure you factor in regular stops along your route. Service stations are dotted about on all of the major motorways, and getting out of your vehicle to have something to eat and drink, as well as a quick walk around, will refresh you for the next part of your journey. You might be tempted to load up on caffeine and sugar, but bear in mind that overdoing it could lead to a significant drop in your blood sugar levels, or an overall feeling of lethargy. In order to avoid a lapse in your concentration and avoid dehydration, keep plenty of bottled water to hand. Other snacks that are not loaded with sugar and refined carbohydrates will keep your concentration levels high and help to avoid those slumps you can often feel later on in the day. Eating big meals before a long journey may cause tiredness too; better to eat little and often where possible. We’re sure that arriving late won't be part of your plan, but remember, better late than never. Even if you’ve followed all the given advice for staying alert and avoiding tiredness, if you still feel tired or sleepy, stop and take a break, don’t risk it. Even a short stop for a quick stretch of your legs can work wonders when it comes to refreshing your mind and body and help keep you safe on your long journey. If stopping isn’t an immediate option, open the windows and allow some fresh air to circulate in the vehicle. Check your posture and maintain a good position whilst driving, as sitting incorrectly at the wheel will leave you with aches and pains and feeling drained of energy quite quickly. Good preparation will help keep you alert in the most adverse of conditions, and keep you safe on the road whatever the length of your journey. Why is the Ford Transit van so popular? Over seven million transit vans have been produced worldwide since they were first manufactured almost 50 years ago; they are so popular that the word Transit has become almost synonymous with vans of a similar size, no matter who the manufacturer is. Ford Transits come with a wide variety of customisations, and are reliable, safe and secure. The reliability of a van is extremely important, especially within businesses as they are essential to carrying around tools, equipment and making deliveries. Ford Transits are not only exceptionally reliable, but due to their popularity, when something does go wrong you can guarantee a manufacture will be familiar with them, making repairs fast and simple. In 2012, the Ford Transit and Transit Connect claimed the top two spaces in the UK’s largest reliability study for vans. Ford Transits were voted the most dependable in terms of the number of breakdowns and warranty claims. There are different styles available for each van type, with the largest Ford Transit customisable over body length and style, offering van, chassis cab, double cab-in-van and minibus variants. The Transit can be customised to suit the needs of any owner. The latest version of the Ford Transit has seen the front re-designed so that it collapses more progressively on impact. The advantage of this is a stronger structure to protect the driver and any other occupants during high impact collisions, and less damage from low impact collisions. The newly designed front can often be repaired after a low impact collision without the need to remove the engine and transmission, greatly reducing the time and therefore cost of repair. Driver airbags come as standard, whilst side and passenger airbags can be added as an optional extra. Other safety features available include an antilock brake system, brake traction control, an electronic stability programme and roll over mitigation. Internal and external alarms can be fitted as a way of deterring thieves, and on certain models, a glass break sensor can be fitted; this minimises cases of theft between jobs. The new version of the Ford Transit comes with a passive anti-theft system as standard, making it difficult to steal the vehicle itself. The key fob contains a chip, and the van will not start without the chip being in close proximity of the lock, so even if the vehicle is hot-wired, it will not start. With so many features on offer, it is no surprise that the Ford Transit is such a popular vehicle all over the world. With the new features on offer with the new version of the van, it’s popularity is set to grow further still. See our selection of Ford Vans here. Many car drivers may not have experience driving and van and can therefore, give van drivers a hard time on the road. It’s easy for motorists to forget that van drivers often spend hours behind the wheel and will be experienced road users. However the more time spent driving the higher the chances are of getting involved in an accident. So van drivers need to be alert and aware of themselves and other road users at all times. Here we look at some top tips to remain safe on Britain's busy roads. We’ve probably all experienced being overtaken by a speeding driver just to meet them again at the next set of traffic lights! So it’s obvious that speeding doesn't actually get us anywhere any quicker, it just puts all road users and pedestrians in unnecessary danger. Van drivers should set off calmly without rushing to make sure their journey is steady and stress-free. Make sure your seat is positioned so you’re not straining to reach the steering wheel or pedals. But you don’t want to sit too close either, adjust the backrest and height of the driver's seat to make sure you are comfortable and have good visibility. Ensure you have checked all the mirrors and have no blind spots before you set off. Check out the Driving.co.uk website for the best driving position to avoid back pain. It is essential to check your fuel, tires, lights and oil before starting your journey. For winter journeys especially check windscreen washer levels and ensure mirrors and windscreen are clean. If you’re competent you know what you’re looking for, a quick check under the bonnet before you set off might save the day and keep you safe. Make sure you have planned the best route and checked the map to ensure you know where you’re going. Take into account the time of day you will be travelling as you may hit rush hour and school traffic. If you are responsible for transporting heavy loads, make sure not to rush, taking a moment to do the loading properly makes a huge difference. It is important to have your load as low as possible and centred to the wheelbase for easy driving. Another precaution when load lifting, take it slow to avoid putting your back out. It’s wise to take a few essential items with you, especially on longer trips. Do you need a spare wheel, brace and jack? Is your mobile phone fully charged, do you have a first aid kit, torch and warm coat? Think about any other essentials you may need to bring to help avoid potential disaster. If the worst does happen and you’re involved in an accident, what remains crucial is what you do next. Ensure you switch your engine off and put on your hazard lights, engage the handbrake. Go ahead and check occupants of the other vehicle then call emergency services if necessary. Accidents mean being ready to hand over van insurance details as you exchange for the other vehicle’s details. It is important to note down witness details and capture the scene using photos and videos. The primary precaution is never to admit guilt or liability. Although van driving can be challenging, it can also be enjoyable and many people enjoy driving as part of their job. Remember to stay alert and safe at all times. Happy Driving! A van is the type of vehicle that has a purpose, van owners will know the demands their vans are subjected to every day. Keeping vans working and roadworthy in every kind of weather is crucial for a business, and the right tyres play a leading role. The correct tyres, when maintained properly can easily help to avoid frustrating and costly downtime that badly impacts the general productivity and can incur additional repair costs. Light Commercial Vehicle (LCV) tyres are usually exposed to heavier loads and more prolonged running than regular passenger cars, they need to be tougher. They require a reinforced structure and special compounds that provide better longevity and extra load-carrying properties. So it’s important to choose tyres with every working situation in mind. Being used for business means that commercial vehicles are not driven in the same way as passenger vehicles with no downtime. For this reason, light truck tyres that are usually used must have an uncompromised grip on both wet and dry roads and superior safety properties. Braking, cornering, and steering in constantly changing weather conditions depends on the quality of your vehicle’s rubber shoes which are the only contact points with the road, to ensure the safety of the vehicle and everything in it. An unsuitable or worn tyre isn’t able to provide a reliable grip in wet or icy conditions and increases the risk of aquaplaning. Poor steering response makes it more difficult to control the vehicle and increases the risk of an accident. When choosing tyres try to foresee the worst possible conditions the tyres might face during their life cycle. You should stick to the manufacturer’s original specifications which can be found either in the car’s manual or on the driver’s door pillar. As long as they are comparatively new, all-season tyres are usually good enough for the UK roads, but if you know that the vehicle will drive a lot on wet, snowy, or icy coastal roads, winter tyres are always better. Letters ‘M’ and ‘S’ on the sidewall means that the tyre meets the mud and snow standards. Stick to the original size or discuss upgrading with a professional, but never opt for tyres that are smaller than the original size specified by the manufacturer.